Well, I tried your settings, Joe, and while other aspects of the sim look much better, the Legos are still there. I guess, like you, some things I'll just have to learn to live with. Maybe try converting file from DX3 to DX5???? Save a back up first - this is a drastic step! That does sound like a major step. One that I'm not sure how to take. Could you walk me through that, or is it more complex than that? Well, I've gotten it better, but still disappointed. 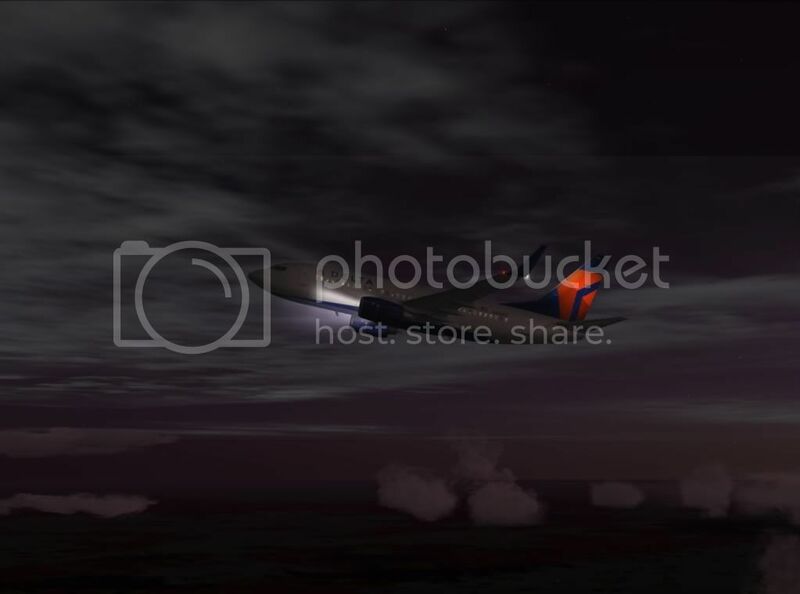 I love the vapor trail, but I can't understand why I can't get a look as good as FS9(below). 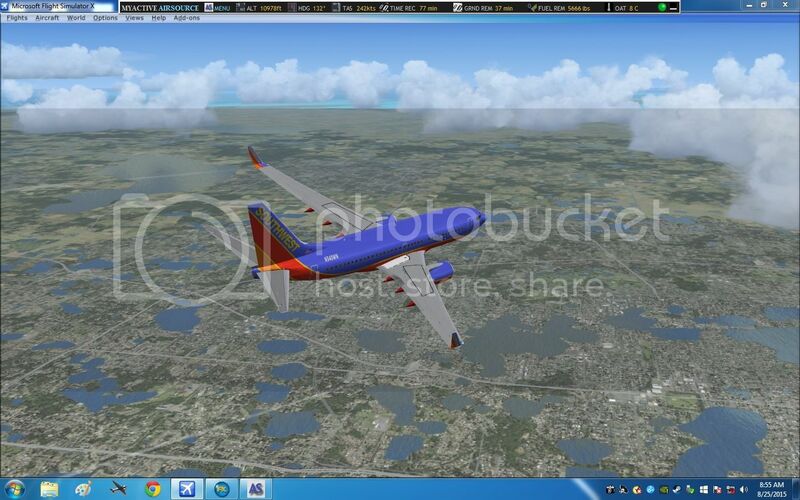 Isn't FSX supposed to have better graphics? FSX uses up many more resources than FS9. I use FS9 with 100% right sliders with no problem. FSX I must use 50% or less to get over 12fps. That's why I went back to FS9. and watch your FPS #'s also make sure "Anti Alising" box is checked. I still use Windows XP Pro also - if not broke, don't try to fix! I've actually gotten all the sliders all three way to the right and still getting 70fps. That's the frustrating part. It's no longer about performance but visuals now. There's something to be said for XP Pro. I started with it because of the better memory management.